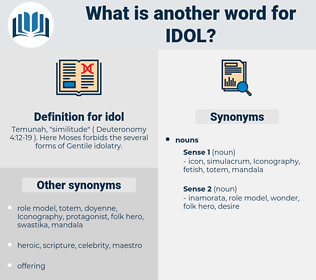 What is another word for idol? Temunah, " similitude" ( Deuteronomy 4:12-19 ). 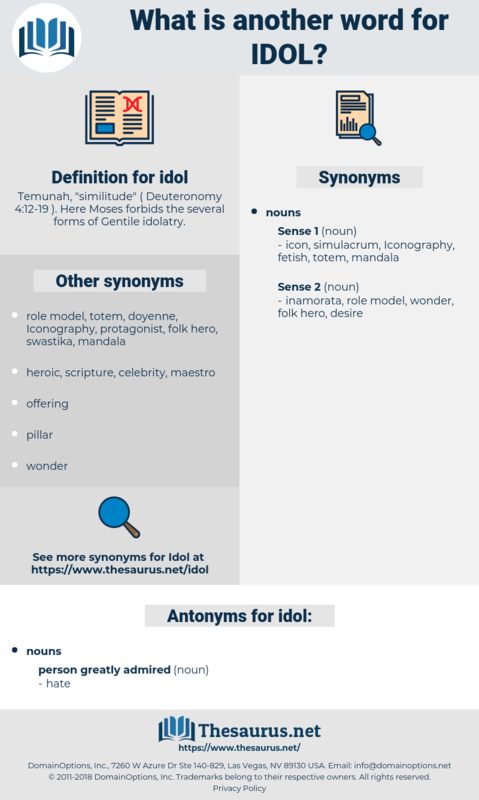 Here Moses forbids the several forms of Gentile idolatry. In dress he was always neat; he was quick to lend a helping hand to a being in distress, brute or human; was overflowing with good humor, and was the idol of all his acquaintances. The mob shouted assent, for Bobadilla was already the idol of the multitude.